Running a business can be draining. Running a dog daycare that you’re passionate about can be downright overwhelming. The pet care business is demanding, not only in workload, but in emotion as well. No one gets into the business of running a dog daycare and boarding facility without a distinct love for animals and the desire to protect and care for them. That means you wear your heart on your sleeve all day, every day at work and pour everything you have into your job. Having such an emotionally involved job can quickly catch up with you if you aren’t focused on maintaining some separation from the job and the rest of your life. Figuring out how to keep your work life and your personal life balanced is key to avoiding burn out as a business owner. Not only does allowing yourself to be consumed by your business impact your personal well-being, it can have disastrous consequences for your business as well. So you’d better figure out effective strategies for leaving the business behind at the doorstep of your location. The benefits of being a business owner can sometimes create challenges when it comes to finding work-life balance. As a business owner, you get to make decisions, shape the way your business runs, and call the shots. However, all of these activities can eat up so much of your time that you may find it following you home at night. Oftentimes, those who are running a business find themselves immersed in emails and phone calls regardless of the time. Putting down your devices and focusing on things outside of work can help you recharge your batteries and replenish your energy and creativity. Those that find themselves running a dog daycare are likely to be even more involved than other business owners. You got into the pet care industry because of a personal love for animals and leaving that at the door when you “clock out” can be tough. You likely own pets yourself, and have started getting involved in other aspects of pet care whether through fostering, volunteering, or simply being an advocate. Things like this can blur the lines between work and play and sometimes overwhelm. While you may be passionate about animals, don’t let it consume your entire life and leave you feeling emotionally drained. Do you love pets and have an interest in starting a successful business in the pet care industry? Read why K9 Resorts is a great fit! As a business owner, you have the ability to implement changes so that you can dedicate time to being totally off the clock. Often, running a business puts you in charge of everything, especially in the beginning. This leaves business owners with a sense of responsibility and needing to handle every single aspect of the business. Frequently they find themselves having a hard time delegating tasks to their employees. However, focusing on giving more of your own workload to your capable employees will allow you to free up time to spend out of your business. As an example, running a dog daycare like K9 Resorts gives you and your staff the training needed to succeed. As your staff becomes trained and familiar with processes and procedures, they can easily take on more responsibility within the organization which frees up your time! You don’t have to tackle the entire operation of your business by yourself. Things like social media posting, customer support, promotional materials, and customer communication can either be initiated by other employees for your approval or completely handled by someone else that you trust. Your focus is on your business and growing a client base and that takes an entire team to accomplish. Lean on your team for help! Not only can you dedicate tasks and time to other employees, you must be strict about your own time. That means setting standard work hours that you follow and managing the time you have in the office. If you’re efficient, you can accomplish just as much work in half the time, which opens up a lot more freedom for work-life balance. Invest in time-tracking tools that will allow you to see where you’re losing time throughout the day and where you can create efficiencies. Additionally, put a focus on personal time and don’t feel guilty about letting your employees handle the business when you’re away. While you’re focusing on your own work-life balance, don’t forget about your dedicated employees. When you’re running a business, you’re responsible for helping your employees maintain an adequate balance between work hours and time off. Just like you, your employees are animal lovers and they’ve decided to dedicate their careers to taking care of people’s pets. That means that they also probably “take the job home with them” each night when the doors close. Giving your employees the opportunity to have personal time outside their dedication to your business is key in maintaining healthy working relationships with them. They need a breather just like you, so as a dog daycare owner, make sure that availability is built into your business. Running any business can be challenging, but running a dog daycare is equal parts fulfilling and all encompassing. Having a focus on maintaining your personal life outside your business is key to your success as a business owner and as an individual. Spending too much time immersed in your business can make you resentful, stressed, and lead to a detrimental burn out that can be catastrophic for your business. While loving your job is great, you don’t want to be a slave to it even if it’s your business. If you’re looking into running a dog daycare and want to start out with support, look into franchising with K9 Resorts. Our pet care and facilities are unparalleled and our track record speaks for itself. We’re focused on a growth culture with incredible support and training for our franchisees, which means once you’re set up, you can focus on your work-life balance. Want to learn more about running a dog daycare? If you’ve been considering running a dog daycare, you should keep reading. The pet care industry is booming and many smart entrepreneurs are getting into the field through setting up a dog daycare business. But before you sign on the dotted line, you should figure out if this kind of business is the right choice for you by learning about what other daycare owners have discovered. Operating a dog daycare and boarding facility can be one of the greatest joys in your life. If you love dogs, there seems like no place better to be than around them all day while getting paid for it! However, there’s a lot more that goes into running a successful dog daycare business than simply having a love for dogs. A dog daycare is still a business, and from daily operation to preparation for success, the same amount of effort goes into it as any other kind of business. Whether you’re opening your own operation or you’re opting to partner with a successful franchise like K9 Resorts, a few things remain the same. Here are some tips from a successful dog daycare owner that you can use for your own planning and journey into the pet care industry. While running a dog daycare can be ultimately rewarding, there are some things to figure out when it comes to daily operations. Whether you’re a first-time business owner or a seasoned entrepreneur, opening a business in the pet care industry is unique. Many dog daycare owners must be hands on in the beginning of the business. Whether you decide to open your own location or become a franchisee, getting your business off the ground demands many hours of your time. You could be looking at nearly two years of 60+ hour work weeks when you first open your business. Eventually, getting to a part-time schedule may be the goal for some, which is attainable, but not something that should be expected in the beginning. The most critical part of getting your business up and running is finding the right people to staff it. This team will not only be able to help you run your business and reduce the number of hours you have to spend on site, but they’ll help your business grow. Finding the right fit for pet care industry professionals can prove challenging, especially if you’re going into business for yourself. An advantage to working with a trusted franchise is that they may have networks that can help you staff your location. Either way, finding the right people for the job is key. Once you have a good team in place that cares about the dogs, as well as understands and respects the processes you’ve put in place, you should be able to remove yourself from daily operations a bit more. Building employees up to take part in your business, instead of just carry out daily functions, is crucial in maintaining a dedicated staff. You must find people who are passionate about dogs, but are also just as passionate about quality customer service. When setting up a dog daycare business, you should have an idea of what to expect before you take the plunge. A lot more goes into running a dog daycare that simply being great with animals. For those who are interested in opening a dog daycare and boarding facility, they need to realize a few truths. There are two specific things to look at when you decide to get into the pet care industry. Firstly, you need to understand how the business world works and have a plan for your specific business. First-time business owners may not have the necessary level of experience required for an easier and successful venture. An ideal dog daycare owner will understand the risks and benefits of opening a dog daycare. Another thing to keep in mind is your motivation for going into this kind of business. During the first couple of years, you’ll likely need to be very dedicated to your operation and won’t have the luxury of being an absentee owner. In this industry, often times there is not a retirement plan, although you could sell your business if it is successful enough. People who open and run successful dog daycare and boarding facilities have to love dogs. If you’re just in it to make money, it may not be the best business for you. Providing pets and pet owners with an unmatched experience is key and a love for dogs is critical to making that happen. This also means that you need to be able to interact with pet parents and understand the importance of that relationship. You may end up acting as a therapist for pet parents at some points, so expect the unexpected! You can never be fully prepared for anything, including setting up a dog daycare. But, there are some things you need to get in line before you dive in. Whether you’re going it alone or working with a well-known franchise like K9 Resorts, the first thing you need to do is get your finances in order. You’ll need money up front in order to get your business off the ground. Many first-time business owners say they would’ve started smaller and saved more money for unseen expenses during start up. This might also mean starting with a lighter staff until your business grows and you need to bring on more employees. Prepare to market your business. If you work with a franchise, you have a lot of marketing support built right in but you still need to get your name out there. Draft up a rough marketing plan that you can implement before your doors are even open. Build the buzz and focus on getting lots of new customers into your business within the first few weeks. Think beyond the nuts and bolts of getting your business open and map out a customer service plan. Your customers make your business and they can choose any other provider. What you’re offering as a dedicated dog daycare owner is unmatched customer service and a love of dogs. Make sure you’re prepared to show customers that through each interaction. Above all else, prepare to fall in love with your job. For dog lovers, running a dog daycare is like no other job in the world. Providing a safe and fun environment for our four-legged companions can be challenging but ultimately rewarding! To learn how you can get involved in the growing pet care industry, contact K9 Resorts today! Congratulations! You’ve made the exciting decision to start a dog daycare combining your love of animals with your ambitions to own your own business. Now you just have to figure out everything that goes into running a dog daycare business. Not to worry! While opening your own business can certainly seem overwhelming, the first place to start is education and planning. Here we’ll go over some of the critical details you need to actually operate your dog daycare and boarding facility. Successful businesses aren’t built overnight, but plotting out your plan and gathering all the information on the necessities is a great jumping off point to your business ownership adventure. If you’ve chosen to open a dog daycare franchise, you already have a leg up on the competition! Franchises come with built-in training, support networks and assistance that can help you determine what goes into running a dog daycare and how to be successful at it. However, they don’t do all the work for you. If you’ve made the choice to open a dog daycare or you’re in the beginning stages of research, here’s what you should expect to need to get your business off the ground. While you’ll need a lot of different things for starting a dog daycare, staff might be the most important part of the process. Finding qualified, talented and passionate staff members to help run your business is the key to success in the pet care field. Not just anyone can work at a dog daycare or boarding facility. Your staff should be well trained in animal care and dog behavior. In addition, it doesn’t hurt to require certain accreditation and certifications so that your clientele know exactly how knowledgeable your staff is. There are a variety educational opportunities and certifications that can be granted by organizations like International Boarding and Pet Services Association and Outstanding Pet Care Learning Center, so it’s worth looking into for your entire team. Not just anyone is cut out to work in dog daycare. Because pets are considered members of the family, their owners want to know they’re in trusted, knowledgeable and caring hands. Even beyond those basic requirements, you have to look for certain characteristics for the types of roles you’ll employ. The staff truly makes up the lifeblood of your organization. A great staff can propel your business far more quickly than lackluster employees will. Take your time. Do your research. And hire the most qualified and talented staff you can find. But there’s a whole host of other administrative equipment you’ll need that you might not immediately think of. You’re still running a business, so you’ll need objects that assist you with keeping your appointments straight, handling payroll, finances and more. Beyond the necessities of the dogs, you’ll need an office with computer, cash drawer and software so that you can efficiently run your business. In theory, you’ll need software for booking, finances and general dog daycare management. Though the focus is the care of the dogs, you’ll need to have an office to facilitate it. There are also things you may not think of when you’re running down the list of equipment needed for starting a dog daycare. Of course, there are always comfort items like a coffee maker and extra change of clothes on-site (things can get messy! ), but what about an air purification system? One of the top complaints of any dog daycare facility is the smell. Obviously, it can’t smell like roses all the time, but investing in a quality air purification system can set your facility apart from the rest. You might also want to consider offering a camera that pet parents can access throughout the day to check in on their loved ones. Providing transparency builds a bond with pet parents and ensures repeat business. You might not need as much space as you think you do for running a dog daycare business. While you do want plenty of room to accommodate dogs and their needs, depending on zoning you can locate yourself in a convenient place close to or in town. Since pet parents are willing to spend money on their beloved furry family members, they want the best. The days of kennels and caged dog daycare facilities are dwindling and people are moving toward using cage-free facilities. This means that dogs get to spend most of the day with animals of their own energy level and temperament in a stress-free environment. Many facilities have separated locations where they can let smaller dogs or lower energy dogs play together and then larger dogs or higher energy dogs play together. That means an ideal facility would have enough space to accommodate both. Additionally, a premiere dog daycare facility will offer play areas – both indoors and outdoors – places to rest, and specified areas for overnight borders. Many dog daycares are also moving toward cage-free boarding where dogs spend the night with a handler and other dogs in an open space with the option to be crated, if they’re trained to do so. You’ll also need air conditioning and heating to control temperatures to keep the dogs comfortable. Don’t forget about designated feeding areas and spots where individual dogs can take breaks from the pack if needed. If you want to offer dog training classes, you’ll also need to consider saving space for a training room separate from the rest of the facility in addition to carving out space for an office. Whatever the size and location of your facility, the focus of it should be providing a clean and comfortable spot for our furry friends to play and bond with each other. Dogs are social creatures and being able to mingle with humans and canines alike is incredibly beneficial. When looking for the perfect facility, consider how it will best serve the needs of the dogs you’ll care for. If you’re looking for information on starting a dog daycare, contact us below! If you’re thinking about opening a dog daycare business, then you already know how fulfilling and lucrative owning one can be. However, you may not exactly know how to go about starting a dog daycare. Not to worry, because you’ve come to the right place! While opening any business can seem overwhelming, starting the journey toward owning your own dog daycare franchise isn’t as challenging as you may think. When you invest in a proven and successful brand, some of the hardest work is already done! Opening a dog daycare business starts with one thing: an undying love for dogs! There’s no way you’re getting into the business of pet care if you don’t have a soft spot for our furry, four-legged friends. The best dog daycare operations understand the needs of dogs and how to run a business that puts them at the top of the priority list. This is where K9 Resorts differentiates itself from the competition. Dog daycares and boarding facilities are a dime a dozen but finding an operation that truly cares about dogs and sticks to best-in-care practices is unique. That’s why investing in a K9 Resorts dog daycare and boarding franchise can not only be profitable, but give you an opportunity to give the animals you’re so passionate about, and their owners, an unmatched experience. K9 Resorts offers an unparalleled experience through luxury accommodations, custom care services, and ultra-hygienic operations. Pets and pet parents love our facilities which sets you up for success. Our franchise comes complete with highly refined operations, 24/7 franchisee support, and comprehensive training and marketing. With K9 Resorts, it’s just different. The first step in starting a dog daycare business is figuring out what kind of operation you want to run. If you’re opening your own independent location, you’ll need a business plan, funding, a venue, a marketing plan, process plans, and more. If you decide to invest in a franchise, you’ll start by contacting that specific franchise that you’re interested in. Whether you’re opening an independent operation or investing in a trusted brand like K9 Resorts, making contact is the first step. If you’re looking to open a franchise location like K9 Resorts, you’ll want to start by going through the franchisee process. At K9 Resorts, we don’t sell franchises, we partner with qualified people. We award our franchises to those individuals that can uphold our brand’s standards and who truly want to dedicate their energy to providing best-in-class service to pets and pet parents. Before you even fill out a franchise application, you’ll have a conversation with a K9 Resorts representative to make sure that the opportunity is something both parties are interested in. Then you’ll go through our application process and schedule a visit to our corporate offices. After your Discovery Day at headquarters, you’ll be able to review the Franchise Disclosure Document, so you can be sure you’ll know what’s expected of you as a K9 Resorts franchisee. Finally, you’ll be ready to sign up to join the K9 Resorts family. Once you’ve signed on as part of the K9 Resorts family, you’ll have access to a wide range of support to help get your new franchise off the ground. In order to provide best-in-class care for pets, we first have to provide best-in-class care for our franchisees! We provide a scalable business model that covers everything from support in location selection to training to growth strategies. Our franchisees have access to elite business systems, a real estate selection team, industry-leading training, comprehensive marketing, proprietary technology, and straightforward financing. We’ll help you with everything you need to succeed because your success is our success. The pet care industry is booming, and more savvy entrepreneurs are looking at ways to get involved in this burgeoning market. Many may be asking themselves, “are dog daycares a profitable franchise?” The simple answer is absolutely. The profitability of dog daycare is on the rise in comparison to other pet franchises. More households welcome four-legged friends into the family each year. In fact, the number households with pets increased to 68% in 2016. That means that a majority of people in the country are spending real money on their furry companions every month of the year. The way people view their pets has also changed. More frequently, pets are being considered true members of the family and people are doting on their devoted canines. Luckily for dog daycare franchise owners, pet owners are more willing to spend a portion of their budget on their animals than ever before. Just last year the pet care industry was valued at nearly $70 billion, making it one of the hottest markets for entrepreneurs to enter. According to the American Pet Products Association , more than $6 billion of that total number was spent on pet services like daycare, boarding, and grooming. The pet care industry is being fueled by two specific sets of people: millennials and baby boomers. Both of these populations are avid pet owners and dedicated to providing the best care and services for their canine companions. According to a piece by Inc. , 40% of pet owners that patronize the pet care industry are between 30 and 49 years old with nearly three-quarters of 30-somethings in America owning dogs. As for millenials, they are the first generation to view animals like true members of the family when compared to previous generations. This group is also putting off having children and instead opting to become dedicated pet owners. That disposable income goes directly toward showering their furry companions with all the latest and greatest pet care services. Baby boomers, on the other hand, are filling their empty nests with pets. Once their kids have gone off into the world, they’re essentially replacing them with “fur children.” They also spare no expense when it comes to their pets. According to a recent article, spending in almost every category declines past 55 years old. However, the money spent on pets shows to actually be peaking between 55 and 64. Since baby boomers are retiring later in life, they still find themselves with a need for pet care services like dog boarding. They feel just as guilty as any millennials for leaving their precious companions at home alone while they’re at work or on vacation, which makes them more willing to patronize services like dog daycare and a dog boarding business! 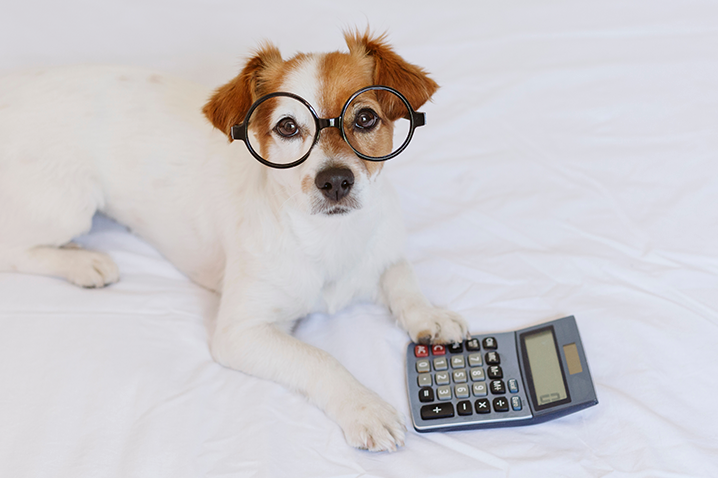 Figuring out how much does a dog boarding business make depends on a few variables. First, the territory in which the doggy daycare is located dictates the amount you can charge for services. The popularity of your location or the density of pet owners within the area is directly related to the number of dogs that you’ll have in-house each day. Of course, there are busier times based on the season, as well. As an example, any time of year that people are more prone to travel could provide an uptick in business. To calculate estimated dog daycare profitability, you’ll need to average the number of dogs being serviced each day multiplied by the cost for a full day of daycare for each then subtract operating costs. Generally speaking, dog daycare franchises, like K9 Resorts, are more profitable than other options. A franchise open for at least 24 months can average over $1.2 million in sales and nearly $400K in EBIDTA. Doggy daycare costs can range anywhere from $29 to $46 for a full day of doggy daycare with a franchise like K9 Resorts. If you’re being very conservative in the number of dogs you service each day, assuming 30 dogs show up on any given day, you’d be set to bring in $870 on the low end and $1,380 on the high end each day. This works out to a minimum of just over $6K a week if your location is open seven days a week, putting you at more than $316K a year in daycare alone. These numbers don’t account for overnight stays or any additional services that you may offer. While the profitability of a dog daycare location is variable, there are things you can do to set yourself up for success. Instead of going the independent route, opening a trusted franchise could provide a better guarantee in your overall revenue. Franchising is nothing new. Fast food joints and grocery stores have been doing it for decades. But recently, more industries are catching on to the convenience and security of franchising, specifically the booming pet care industry. Spending in the pet care industry only continues to rise and many see it as a recession-proof market where they can find solid footing in franchising – and they’re right. While franchising in the pet care industry isn’t easy, it is rewarding. Specifically opening a dog daycare franchise is a smart move because the market is underserved and growing. Because pet owners work long hours, they feel guilty leaving their furry family members home alone all day. As a result, they look to dog daycares to fill that void and provide a safe, community space for their dogs to thrive during the week when they’re at work. Most responsible doggy daycares put a limit on the number of dogs that can come to daycare on a given day, depending on the staff they have to handle the load. With the service in high demand, many are left without an option when the nearest dog daycare location fills up. Investing in a dog daycare franchise gives you the opportunity to fill a growing need as well as run a business that is recession proof and profitable. More and more, pet owners are seeing pet care services and products as necessities instead of frivolous spending. Just as a working parent would need childcare during the day, the dedicated pet owner seeks out quality pet care, too. People respect quality franchises across any industry but specifically when it comes to the care of important members of the family. Knowing exactly what kind of care their pets will receive eases owners worries which creates repeat business. Investing in the right dog daycare franchise is crucial to any savvy entrepreneur’s success. Just as not all businesses are created equal, not all doggy daycares provide the same level of service. There are independent dog daycares on the market that have one or two staff members caring for 40 dogs each day, which is a recipe for disaster. When it comes to dog daycare franchises, having proven systems and procedures can not only keep pets safe but guarantee revenue through repeat business. Pet owners treat their pets like family and they seek out the best possible care for them. That means that if there’s a trusted franchise, they’re more likely to choose it. A dog daycare owner’s salary doesn’t just depend on how many dogs come through the door each day, it’s about a lasting relationship with each client. A franchise like K9 Resorts caters to those pet owners who refuse to settle for average when it comes to pet care. Their resort-style doggie daycare offers unmatched homelike amenities coupled with interactivity to keep your pet stimulated and happy when you can’t be with them. Their commitment to quality dog daycare can be seen in the numbers. Since the company began offering franchise options in the beginning of 2011, they’ve since opened seven locations with another seven in development . Clients and franchisees alike recognize the brand’s commitment to the quality care of some of the most important members of your family. Their main goal is happy pets and happy owners and they achieve that through a proven business model and operational procedures. Working with a trusted and growing franchise sets you up for success as a dog daycare owner. Along the way, you’ll receive training, support, marketing, and networking opportunities that allow you to build your business from the ground up. If you’d like to learn more about K9 Resorts franchising opportunities, contact us today.